The following illustrations – though by far not exhaustive - are intended to demonstrate that against all degradation and destruction in many places around the globe dedicated people, organizations, and institutions are successfully working for rehabilitation and regeneration of, and improvements in soil fertility. Clearly there are feasible real life alternatives to the powerful vested interests in a further fossil industrialization of the world's agricultures. Pretty, Toulmin & Williams (2011) analyse and assess in the context of the UK Foresight Process Future of Food & Farming 40 case studies from Africa, where different changes and improvements in agricultural practices and regimes were developed and applied, gaining in parts striking results. Overall 12.8 m ha were included in the evaluated projects and due to the interconnected nature of agriculture, not only remarkable gains in yield were observed but also environmental improvements, i.a. for soils. International Union for Conservation of Nature (IUCN) in cooperation with i.a. UNCCD, CBD, and more than 35 governments from around the world have in 2011 launched the so called Bonn Challenge. The goal is to bring 150 m ha of degraded and deforested land into restoration until 2020, and until 2030 even 350 m ha. In July 2016, the Kigali Declaration on Forest Landscape Restoration was adopted by 14 African governments, augmenting the Bonn Challenge. In October 2016, 17 African nations announced 63.3 m ha as priority areas for the respective national policies, until July 2017 the total hectares pledged accumulated to more than 156 m ha (IUCN 2017). A cooperation between the government of the Republic of Malawi and the UN World Food Programme (WFP) in the southern Malawian region has by simple technical means established a diversification of cultivated food crops and fish. The staple food maize, which is prone to drought, is supplemented by cabbage, tomatoes, carrots, and yams. By manually operated pumps ground water is used to irrigate small plots which are fertilized by home made compost. Furthermore, small deep pits have been dug which collect rain water and are used for the cultivation of tilapia fish which in turn is a precious part of a diverse and healthy diet (Süddeutsche Zeitung, 31. May 2016, p. 7). For more than 30 years, WFP in Ethiopia has supported MERET (Managing Environmental Resources to Enable Transitions to sustainable livelihoods). 'Meret' means 'land' in Amharic language. MERET operates in six regions with 451 communities. More than 400,000 ha of degraded land have been rehabilitated in 72 chronically food insecure districts. Annually 648,000 people have been assisted through MERET (2012-2015). MERET has demonstrated that with proper planning and technical support communities can improve their environment and livelihoods. In 2012, nearly 70 percent of MERET houses reported significantly increased income as a result of improved farm productivity through land rehabilitation interventions. Households who were previously on humanitarian relief are able to cater for their families on their own (WFP 2016). Ethiopia’s Tigray region has made significant progress in restoring its degraded lands and improving its food and water security. The results derived from the major land restoration undertaken by local communities and the regional government. Key to this success is Tigray’s regional development strategy, known as Conservation-Based Agricultural Development-Led Industrialization, which focuses on food self-sufficiency and economic growth by conserving land and promoting sustainable agriculture. Thanks to a unique combination of collective action, voluntary labour and the involvement of young people, the people of Tigray are restoring land on a massive scale. For its remarkable achievements under harsh conditions, Tigray’s policy was recognized with the Future Policy Gold Award 2017, awarded by the World Future Council in partnership with the UNCCD (http://www.futurepolicy.org/healthyecosystems/biodiversity-and-soil/tigrays-conservation-based-adli/). In Burkina Faso eroded and degraded land has been recreated by means of agroecology. In 2012, Lankoande Francois’ land in eastern Burkina Faso was barren. He was unable to produce enough food for his family. Then Groundswell International and its partner organization, the Association Nourrir Sans Détruire (ANSD), began to work with Lankoande and other families in the area to improve their farms. Lankoande and his family tried a number of agroecological techniques to stop soil erosion, capture rainwater, improve soil fertility, and diversify their farm. By 2016, they regenerated 2.5 ha of land, literally re-creating farmland. They now produce on 2.5 ha what other farmers in the area need 9 ha to produce – a productivity increase of over 300% (cf. http://www.groundswellinternational.org/burkina-faso/lankoande-francois-recreating-farmland-in-burkina-faso/ ). “In the Philippines, traditional rice varieties have been collected by farmers and improved through farmer-centred participatory rice breeding, supported by NGOs and scientists. After 20 years, this initiative has grown to the point that more than 600 farmers’ organizations (35,000 farmers) using organic production systems are involved, and other crops, livestock and integrated farming systems are covered. There are 223 farmer-managed trials in 47 provinces, with ten back-up farms serving as gene banks, each maintaining 300 to 1,800 rice varieties. 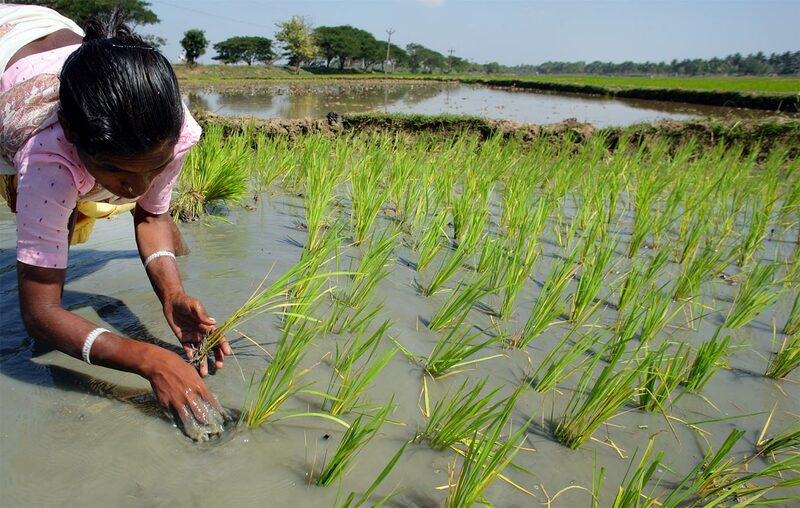 A total of 826 varieties, including 284 rice crosses, have been released (compared with 173 varieties released by the government between 1955 and 2005). Farmers’ yields are sometimes better than those of highyielding varieties, and farmers’ incomes are usually greater than those of conventional rice producers because of savings from non-use of chemicals and a lower cost of seeds.” (IFAD Poverty Report (2011), p. 174) An evaluation of the profound effects of the activities of MASIPAG, the network of farmer's groups, scientists, and NGOs, on biodiversity (environmental as well as on-farm) gives evidence that changes in agricultural practices resulted in increases in soil fertility and reduction in soil erosion (Bachmann et al. 2009). bare the soils over centuries resulting in massive soil erosion by wind and rain, driving soil in the Yellow river which in turn resulted in recurring catastrophic flooding down stream. Measures such as afforestation and terracing of hill and mountain slopes have resulted in flourishing landscapes in which a substantial diversity of annual and perennial plants and trees have rebuilt core ecosystem functions and thereby services for the local population (Liu 2011). Another study dealt with co-producing knowledge to rebuild resilience and recover regional wetlands. “Across the Mekong Region, a great diversity of wetlands and the agro-ecological farming that they support are central to many rural communities’ livelihoods and culture, and contribute to local and national economies. Unfortunately, many areas have been degraded or lost as a consequence of large-scale infrastructure development, including for irrigation and hydroelectricity.” (p. 27) In order to gain mutual knowledge partnerships are forged between local communities, government agencies, civil society groups, academics and others which through participatory action research contribute towards recovering wetland agro-ecological systems affected by past development projects. Another project discusses the rediscovering of organic rice production in Savannakhet Province. “Dr Outhai Soukkhy and his team from the Northern Agriculture and Forestry College, Luang Prabang, Lao PDR has been working with farmers and local authorities in Xaybouri district of Savannakhet Province, downstream of the Nam Theun 2 hydropower dam. In 1986, in South Korea the Hansalim organization was founded. Hansalim has been seeking an alternative way for humans and nature to coexist while recognizing the limitations of industrialism, which only focuses on resource and economical development. Hansalim started the direct transaction of healthy food between rural and urban communities as well as created a way for organic farmers to go beyond the market order. In 2016 more than 2,000 farmer families, cultivating ca. 4,200 ha, and more than 2,700 processing firms build a network of 22 cooperatives with more than 540,000 consumers, thus delivering healthy food to more than 2,55% of the Korean population (cf. http://eng.hansalim.or.kr). In the European context especially measures such as diversification of crop rotation, intercropping, organic fertilizers and compost contribute to soil fertility and diminish erosion (Down to Earth 2015, p. 27-36). The WEcoDyn system has been developed during some decades by farmer Friedrich Wenz and colleagues in Germany. It comprises two fundamental elements: Building up humus, and soil-protecting tillage by plow-less, really flat and precise soil preparation machinery. 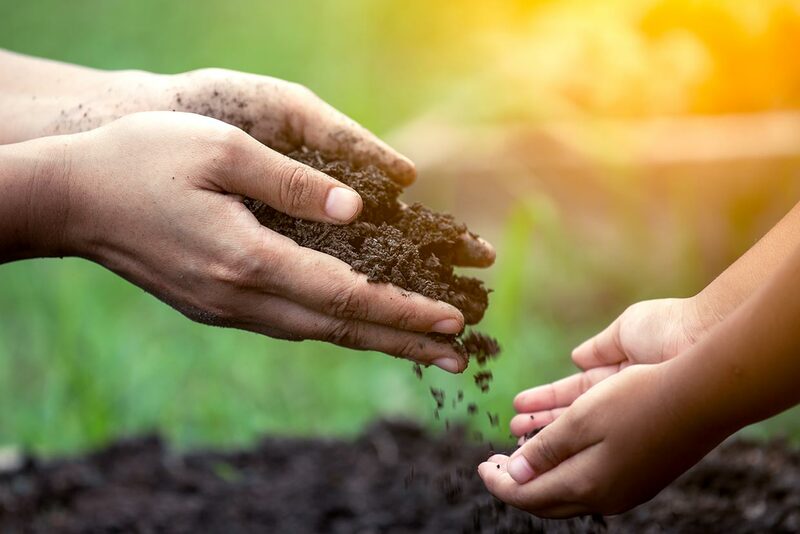 Any improvement of soils springs from the basics of chemistry, physics, and biology of soils and their synergies and connections. Additionally, living plant roots and plant communities are networks of nutrient exchange as well as parts of the humus building processes. Likewise, the vast diversity of microbial organisms in living soils plays a decisive role, which can be fostered by using different, mostly liquid, microbially active mixtures in order to accelerate the activity of soil biology and support soilbuilding processes. The nexus of humification and soil processing for sowing or post harvest results i.a. in high yields, excellent water storage capacities in dry areas, and effective erosion control (cf. http://www.eco-dyn.de). SlowGrow is a small-scale farm of some 5 hectares, located not far from Zurich in Switzerland. 3 ha of the farm are used as cropland for red wheat, wheat seed mixtures and black barley. 0.5 ha is used for field vegetables in mixed cropping, such as carrots, sugar maize, parsnips, bounce, beetroot, lettuce and radish. Another 0.5 ha is planted with mulching-destined vegetables, such as onions, garlic, potatoes, cabbage, celery, cucumbers and other special cultures. 1 ha is used as pasture. In collaboration with Hotel Jakob in Rapperswil by the Lake Zurich and the direct marketing service BachserMärt also in the Zurich region, the SlowGrow farm implements the concept of community-supported agriculture in a commercial context. The commercial partners pay an annual fee and obtain on a weekly basis the products of the SlowGrow farm seasonally available. The customers and guests, both of the hotel restaurant and the outlets of BachserMärt, are free to provide assistance on the farm and the farmer, in turn, is regularly present in the hotel restaurant and the BachserMärt shops. The production patterns match the annual demand of the hotel and the BachserMärt shops in terms of vegetables, herbs and grains. A common support fund created by the commercial partners facilitates further research on and development of regenerative agriculture, including through direct marketing channels, such as the Regular Table of Slow Food Youth, diverse popup food projects and the reaching out to further restaurants. The theoretical knowledge on regenerative agriculture is largely available. Its practical implementation, however, is complex and there is an apparent lack of well-informed practitioners and start-off opportunities for career changers. In fact, practices for preserving and enhancing soil fertility are far from new. Many have been used for hundreds of years. The contemporary methods, the further development of which our farm is also contributing to, enables farmers to produce on large areas according to regenerative criteria with little additional or appropriate effort. Agriculture machinery is all too often inappropriately used without due care for soil structure. In the past, many agricultural pioneers emphasized time and again the essential elements of sustainable soil management. Agricultural practice from conventional to organic production methods however demonstrates that basic knowledge on sustainable soil management is neglected, sidelined or improperly used (recalling inter alia the recommendations of soil scientists and practitioners such as Franz Sekera: “The nature of bare soil and its porosity”; Rudolf Steiner: “Fertilizing means revitalizing the soil”, Müller/Rusch/Dähler: “Green fertilization is of central importance in organic agriculture”). It is important that plants have sufficient space for root development in the soil during the complete growing period. There should be no hoeing or tilling in between the rows, because this destroys the stable crumb structure of the soil, reduces the humus content, inhibits the development of the sensible roots and jeopardizes the symbiotic relationship between the plants and fungi. The natural structure of the soil needs to be build up and preserved, which we term appropriate plant management. This includes the maintenance of the nutritional soil web, healthy mycorrhiza, worm channels and a soil food web. The farm also practices field in addition to heap composting. Soil life needs to be regularly supported by fresh or slightly rotted, purely organic material. Ripe compost alone does not sufficiently nourish soil life and cannot entirely replace field composting. Machinery should only be used on the field for deep tillage, seeding, harvesting or the application of fresh organic material as fertilizer. This excludes the use of machinery for hoeing, tillage, harrowing, rolling or spraying. Machinery should in no case be used under humid soil conditions. New or taken-over fields will often require a onetime deep tillage and then need to be green-fertilized by diverse, root-intensive plants, such as sunflowers, phacelia, radish, peas, maize, crimson clover or berseem. For launching crop rotation on taken-over fields, one kicks off with a deep tillage with a heavy cultivator, followed by seeding green fertilizers, seeding the main crop, including cover crop underneath. The mulching system enables a new form of vegetable production, combining perennial vegetables with fruit and berries. The advantages are high resilience of the plants and of the entire system. There is no or little soil erosion, silting and thus related loss of nutrients. The mulching system also requires little hoeing and weed removal. From an economic and planning point of view there is hardly any rigid crop rotation. One saws or plants wherever there are open patches, reflecting specific demand and preferences of the restaurant cooks and shops. This also allows year-round harvesting, including for seeds and herbs. The permanent cultures yield several harvests from a single input (fennel, for instance, can be regularly harvested). The flowering of such crops at the end attracts beneficial insects and thus contributes to regenerate the entire eco-system. The key challenge of such approach is that side-specific knowledge and skills need to be developed. Vegetable production is very labour and time-intensive and, for some 200 varieties, a broad stock of knowledge is imperative. The most suitable plants for mixt cultures have to be well-selected, their best-harvesting methods to be developed, and the most suitable green fertilizers determined. These are really new and unexplored tracks for permanent cultures. It requires experience, sensibility and creativity of the farmer. Undoubtedly, the approach of the SlowGrow farm needs to be underpinned by a suitable commercial network from farm to hotel kitchen and greengrocery shelf. The wide range of products provided by the farm is seen as a key advantage by the marketing partners and consumers. The latter learn a completely new form of shopping that needs to be properly communicated. Kitchen hints and cooking recipes are provided by Hotel Jakob and by a foundation named Leaf to Root. 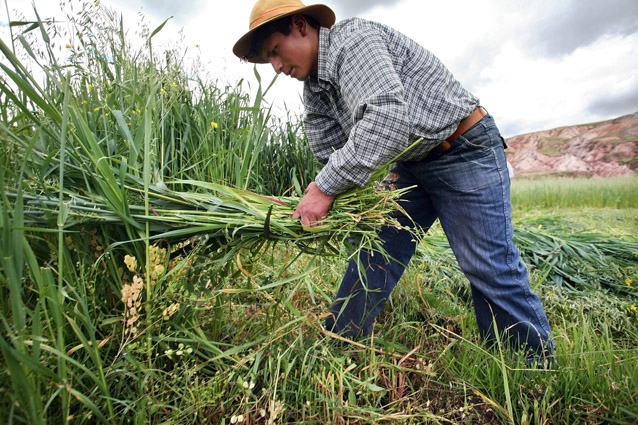 The contours of a new movement around regenerative agriculture are emerging – Slow Food Youth. One of the key lessons of the approach taken by the SlowGrow farm is that soil building and soil improvement can be achieved within a few months. What is lacking is appropriate machinery and equipment, as well as suitable seed mixtures, developed by regional seed providers. For emulating the SlowGrow approach it would be necessary to have a hub for young farmers that are interested in implementing regenerative agriculture. Such hub would have to include assistance for acquiring suitable land or farms and support and flanking packages so that regenerative agriculture can be commercially successful for young farmers. In this way, a conducive social web could be created that would give a chance to small-scale farms to survive. Regional agricultural support programs should place much more emphasis on the promotion of young innovative farm entrepreneurs. Federal or regional governments may also wish to create research funds for regenerative agriculture. In this regard, in addition to the focus on promoting classical sustainable farming methods, such as bio-organic or bio-dynamic agriculture, comprehensive regenerative agriculture should also get due attention. Regenerative agriculture can unite farmers globally and help bridge gaps between production methods and labels. The majority of farmers consider the soil as most valuable basis for production and are therefore open to methods for soil building and soil improvement (www.slowgrow.ch, many thanks to Matthias Hollenstein). Are there any reliable methods to regenerate and improve soils swiftly and reliably? How can soil generation and regeneration really be successful? These were core issues during interviews with four European experts and practitioners which Hellmut von Koerber exclusively conducted for this volume. It is fascinating how different the experts view the process of soil generation and regeneration. Gerhard Dumbeck is soil scientist. He monitored the recultivation of 12,000 ha lignite mines for the Rhein-Braun Corporation (formerly RWE) in western and eastern Germany. He underlines the importance of subsoil. Distributing freshly deposited, overly loosened loess with standard machinery, they obtained fatal compaction problems: Due to massive barrier layers, no cultivation was possible. With extensive repairs and specialized machinery, eventually a reliable practice could be found. Many tests and measurements were performed which found an annual increment of 0.02-0.03 Corg and a saturation in the humus content of 1.5% Corg applying conventional farming methods. Sepp Braun optimizes a 7-year wide crop rotation on a classic organic diary family farm with high diversity near Freising northwardly of Munich in Bavaria in Germany. He maximizes vegetation, thus capturing solar energy and promoting root penetration; he improves feedstuff and animal health by drying hay, and bedded pack manure by composting it with biochar. He has nearly reached 5% humus content. He intends to improve it with perennial crops and a continuing vitalization of subsoil. Sepp Braun is a board member of the Bioland association of organic farms in Bavaria and was the ambassador for the topic of soil in the German pavilion at the Expo 2015 in Milano. He is tightly linked to agricultural research and passes on his knowledge in lectures and courses for practitioners. Friedrich Wenz runs his stockless farm with undersown crops and diverse, partly even multiple catch cropping within the course of a year (see above the principles of the WEcoDyn system). More than 60 years ago, his father started with intensive maize monocultures. After 15 years, the humus was completely degraded. Due to resistances, more and stronger pesticides became necessary. That is why Manfred Wenz co-founded the Bioland association and converted his farm to no-till cultivation. Since the mid-90s, Friedrich Wenz has run the farm according to biodynamic principles. Lost humus and more could be regenerated. While Sepp Braun relies on perennial crops (deep root penetration, agroforestry, permaculture), Friedrich Wenz counts on the vegetative phase (before florescence), when plants are growing particularly quickly, on the acceleration of field composting and the specific vitalization of plants in phases of weakness with preparations from minerals, plants and microorganisms. One could say he engages the turbo stage in catch crops and field composting and avoids damages before they occur by specific observation, measurement and vitalization of soil, plants and microorganisms. Where Sepp Braun expects lower yields in the main crop and slow increase of the humus content, Friedrich Wenz reports above-average yields and a humus increase of 1.6 % Corg in four years. A participant of his annual soil field school (Bodenkurs) was able to obtain this without applying any fertilizer or pesticides on his conventional farm. Both farmers do not see any limit on humus generation. The more vitality of soil and vegetation increases, the less losses occur and the more solar energy may be captured and bound to the soil in living or stable form. Paul Mäder, an agricultural researcher and head of the Department of Soil Sciences at the Research Institute of Organic Agriculture (FiBL) in Frick in northern Switzerland, is rather careful. In recent studies, the advantages of reduced tillage turned out to be a shift of humus content from the bottom upwards. Until now, in subsoil and overall, research could not prove any substantial increase of humus and thus no substantial carbon sequestration. Organic farming is successful in conserving soil fertility and protecting water and biodiversity, but until now, it may not contribute substantially to humus generation and the reduction of greenhouse gases. Paul Mäder assesses an annual maximum of 0.1 - 0.2% C in humus generation. Therefore, measuring is usefully every 3 years. Otherwise, measuring errors and natural variations may distort the results. All experts underline the necessity of year-round soil cover, light machinery and equipment, and the avoidance of losses, flaming, compactions, deep soil turning and tilling in wet conditions. Soil generation originates from the biological activity of the area and not from external organic matter. The consequent, systemic perception and recent practices of the two farmers make the difference: the year-round dense vegetation, field composting, deeper root penetration, analyses of soil and leaf sap to balance elements and the specific vitalization of soil and plants. Year-round dense vegetation In monocultures, only a fraction of the available solar energy is transformed into sugar and biomass. Undersown crops, catch crops, mixed cropping as well as perennial plants increase the total leaf area and maximize the bound solar energy. A large part of soil organisms depends on the direct supply through living roots. Liquid carbon pathway Plants release up to 70% of photosynthesis products in fluid form into the soil (exsudates). They feed the soil organisms and serve the generation of stable humus compounds via bacteria inside the root fungi (Mycorrhiza). Glomalin e.g. surrounds the fine roots of plants and serves as a glue for stable soil aggregates. The key to humus generation lays in this vast, invisible potential of additional energy, sugar, carbon and biomass, that living plants release in fluid form into the soil ( cf . Christine Jones 2008, http://www.amazingcarbon.com/PDF/JONES-OurSoilsOurFuture(8July08).pdf). Avoid losses The usual high application rates of fertilizer, compactions, monocultures, long fallows and wrong tillage pose big risks, that humus being in the soil will mineralized and washed out and thus degraded instead of built up. When the wrong degrading microorganisms become prevalent, degradation may occur very quickly and nullify a yearlong build-up. Lack of humus and a disrupted soil structure decrease the binding capacity of the soil for water and nutrients and cause leaching during the next moderate rainfall – on average, 1.2t/ha of dissolved salts per year in Germany. Apparently, the losses are much bigger than commonly supposed and a multiple amount of the minerals in fertilizer and yield. Balance of elements Comprehensive literature and practical experience show a connection between lack of certain chemical elements and specific damage in plants, animals and humans. Soil analyses on the principle of base saturation (e.g. according to Neal Kinsey, http://www.kinseyag.com) determine every important element and give recommendations for specific adjustment. These additions of minerals are temporary practices. Soil life releases minerals from the soil – active mobilization, - and rebinds them. Soil generation gradually adjusts the composition of elements. Balance of microorganisms Preparations like horn manure have a long tradition in biodynamic agriculture. Nowadays, compost tea and other preparations from minerals, plants and diverse microorganisms are applied for controlling the decomposition process when incorporating large amounts of catch crops. This stimulates a quick rotting and rebinding through biological activity instead of anaerobic decay and complete mineralization. This field composting takes 2-3 weeks. Afterwards, standard sowing may be performed without any special direct-seed technology. Vitalization of plants In times of stress (e.g. drought, lack of nutrients), photosynthesis in plants decreases. Plants no longer supply soil life sufficiently with sugar, and soil life no longer supplies plants sufficiently with water and nutrients. The activity of the whole system decreases substantially. Later, this may cause an infestation with diseases or pests. Using leaf sap analyses, stress of plants may be recognized early and be treated using leaf spraying with compost tea or other preparations in good time before infestation. Plants respond with a measurable resumption of photosynthesis. This plant protection recognizes and resolves the causes for substantially decreases in the activity of plants and soil. With increasing build-up of soil, these practices become less and less necessary. There is no symptom treatment. Pathogens, weeds and pests are indicators of a disrupted ecosystem and infest only weakened organisms. Holistic approach A new understanding is essential, we need to move away from combat to cooperation, symbioses and partnership. We have to do everything what we can for the well-being of plants and animals. Health, activity and yield will follow. What needs does wheat have? How does it want to grow, as a chief of a community with many other plants, animals and microorganisms? In agricultural policy and research, a complete rethinking is necessary. In living systems, cooperation – as opposed to competition – is essential. The same needs are to be applied to agricultural practice and research: Holistic thinking, overcoming compartmentalization and exchange with practitioners at eye level. Simultaneously and continuously, improve soil, vegetation, water cycles, biodiversity, productivity by increasing the vitality of soil, plants, animals and humans. Incorporate a lot of solar energy into the system by year-around dense vegetation and use it for yield, soil generation and biodiversity. Escape the economic and technological treadmill: Replace expensive external inputs with intensified life processes. Emphasis should be placed on perennial plants, and on avoidable losses, subsoil, dynamics of humus, nutrients and root penetration, new measuring methods and overall vitalization and regeneration. Regardless of the problem in the foreground - soil protection, biodiversity, productivity, food security or climate change - at the heart of the solution are always diverse, highly productive agro-ecosystems. They always incorporate more energy, air, water and minerals in their living processes, provide nutrition and living space for soil life, plants and animals, deliver long-term yields and directly contribute to the regeneration of local water cycles and the climate by water retention, evaporation, balance of temperature and avoidance of emissions. Adequate economic and policy frameworks for these solutions, fair access to land, knowledge and other natural resources are needed (many thanks to Hellmut von Koerber, hellmut.koerber@fleXinfo.ch, www.flexinfo.ch). Australia, New Zealand, South America – Chile – North America – Canada, North Dakota, South Dakota, Colorado, New Mexico, Wyoming, Montana, Texas, California – Europe – Spain – and Asia – Pakistan, PR China –, spanning ca. 15 – 20 million ha. 30 hubs for training and teaching facilitate on all continents theconsolidation and expansion of the network. Eminently remarkable outcomes of the Holistic Planned Grazing scheme are i.a. protection against erosion, much more dense and diverse plant cover, more diverse soil biodiversity, increased methane uptake, and better provision against drought. Located in Virginia's Shenandoah Valley (US), Polyface Farm produces salad bar beef, pig aerator pork, pastured chickens (eggs and meat), pastured turkeys, forage-based rabbits, hair sheep, pastured ducks, honey, maple syrup and occasional vegetables. Purchased by Bill and Lucille Salatin in 1961, the farm was arguably the most eroded, gullied rock pile in the region, having been absentee-owned for half a century from about 1900-1950. Today, the second and third generation of Salatins operate the farm with the fourth generation already developing their own enterprises and a cadre of staff, subcontractors, and interns rounding out the 20-person team. All healthy ecosystems have animals. Perennials build soil; annuals deplete soil. Nature doesn't move carbon very far; it's grown and digested in situ. Local food systems offer both abundance and security. Multi-speciation is safer and more productive than mono-speciation. Equity should be in management, information, and customers. Infrastructure should be mobile, modular, and management-intensive. Sustainable farms must employ at least two people from two different generations. Every bite we take creates the landscape our children will inherit. Carbonaceous diapers: wood chips from sawmilling is used to line animal houses in winter for cow feeding on hay. Corn is placed in the bedding, for the animals to trump-out the oxygen and stimulate the fermentation process. Pig aerators: when the cows come-out to graze in the spring, pigs are introduced to seek the corn in the cow bedding and hence, turn the bedding from anaerobic to aerobic compost. Landscape massage: as 5.000 years ago when the Planet’s carrying capacity of mega-fauna was much superior to today, the historic disturbance role of pigs is used to bring back magnificent silver pastures. Seeds latent in the soils germinate again with short-term pig grazing, creating a whole tiers of production, or prairie under the trees, that doubles the biomass. Biomass accumulation re-start buns: cows, the herbivore pruners that replaced buffalos, take the pasture senescent forage and prune it back to very rapid juvenile growth. Mob stocking herbivorous solar conversion lignified carbon sequestration fertilization: cows are moved every day on pastures, with 80 heads on 0.2 ha in winter and 300 heads on 0.8 ha in summer. If every farm in North America were to implement this system, agriculture would sequester within 10 years all the carbon that has been emitted since the beginning of the industrial age. Portable control mechanisms for migratory choreography of animals: portable shade mobiles hooked together can shelter up to 240 heads. Gravity-powered irrigation: in a permaculture fashion, ponds are constructed on highlands in order to obtain 6 miles of water lines holding 80 pounds pressure irrigation water flowing by gravity - no electricity to pump water, no relays, just gravity. Holistic management combined with no-till planting technology: use of animals as preparation tool to beat down the perennials and create a window of opportunity for planting an annual crops. While this technique is used in Australia to grow cereals, Polyface plants cow peas, sudex and other forage crops. 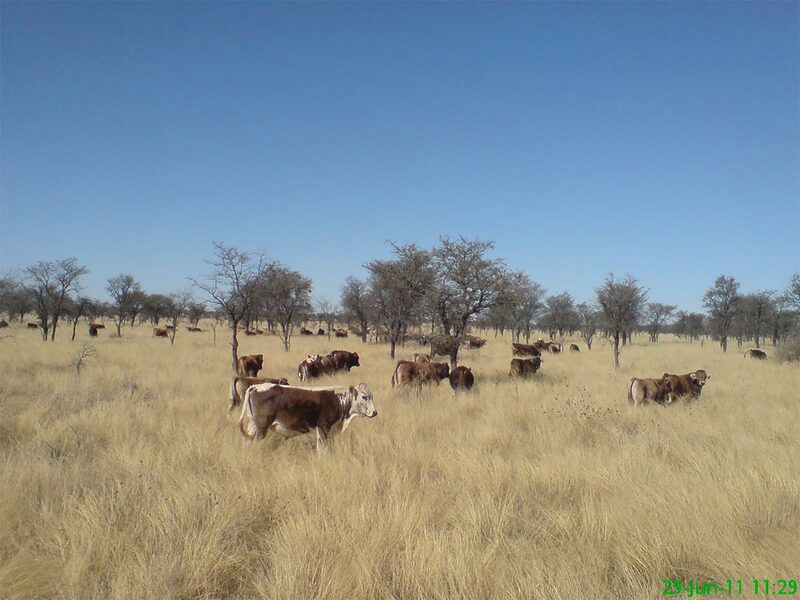 Pasture sanitation: just as birds follow rhinos in wild areas, cows are followed by egg mobiles (with 800 layers), for free range chicken to scratch the cow paddies, eat the fly larvae and turn the grasshoppers and crickets into eggs. More protein per ha in insects can be produced than with meat or milk. So what would be a parasite or worm liability is turned into an asset and what is worth USD 300.000 of eggs are produced as a by-product of pasture sanitation program. Provision of social, economic and environmental benefits to land users.” (Agroforestry Systems and Practices in the Caribbean, Ravindra Ramnarine and Denny Dipchan-singh, in, Sustainable Food Production in the Carribean, 353 ff.). Rodale Institute: Organic agriculture was the standard of global agriculture for millennia. Since the industrial revolution roughly 200 years ago mechanization and later chemical inputs have changed agriculture in some parts of the world radically. Tillage technologies as well as synthetic inputs (fertilizers, pesticides) modified the living webs above ground as well as below. Therewith the fundamental role of soils as metabolic systems inter alia for gases such as CO2 or CH4 got in decline and jeopardy. The modern organic agriculture movement strives to regain the fundamental role of healthy soils for stable yields as well as for carbon sequestration. Crucial elements are inter alia: No bare soils, conservation tillage, cover crops, enhanced crop rotation, retention of plant residues, and composting (Rodale Institute 2014, https:// rodaleinstitute.org/regenerative-organic-agriculture-and-climate-change/). The Drylands Advantage. Observations and examples from PR China, Jordan, Nicaragua, Senegal, and Swaziland. (IFAD 2016, cf. https://www.ifad.org/newsroom/ press_release/tags/p69/y2016/35037921). Fertile Ground. Scaling Agroecology from the Ground up, Steve Brescia (Ed. ), 2017. Instructive compilation of case studies from Africa, Caribbean, the Americas, and Europe. (Food First Books, Oakland, Ca. (USA), cf. https://foodfirst.org/publication/ fertile-ground-scaling-agroecology-from-the-ground-up/). Archangel Ancient Tree Archive, David Milarch, documented in Jim Robbins: The Man who planted trees. A story of lost groves, the science of trees, and a plan to save the planet. (Spiegel & Grau, New York 2015, cf. http://www.penguinrandomhouse.com/ books/200375/the-man-who-planted-trees-by-jim-robbins/).